I’m a big fan of boutique hotels and after staying at the Graduate Oxford, I was excited to check out their other properties. 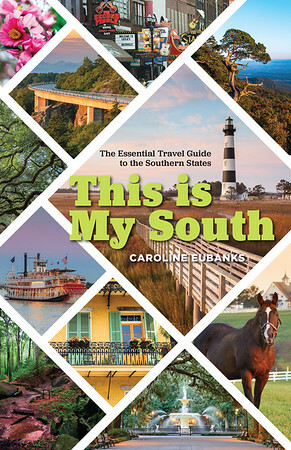 The state of Virginia actually has two, including the one in Richmond. Steps away from the campus of Virginia Commonwealth University, it has the same unique touches found at all locations like in-house dining, free WiFi, and Malin + Goetz toiletries. Graduate Richmond has over 200 rooms and suites with views of downtown. Each has flat screen televisions, mini fridges, coffee makers, closet, and iPod docking stations. Beds are comfy as well. 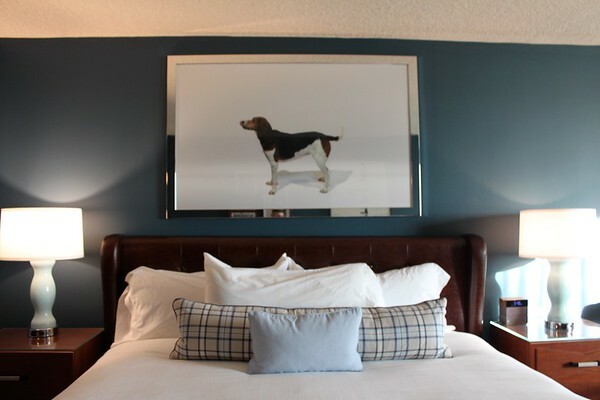 The decor ties back to the city, including posters of punk rock bands that came up in the Richmond scene, prints of tennis and foxhounds, and quotes from Patrick Henry and Arthur Ashe. Room keys look like student IDs of notable graduates, including Warren Beatty, Patch Adams, Wesley Schultz of The Lumineers, and Shirley Maclaine. The hotel also has its own restaurants. 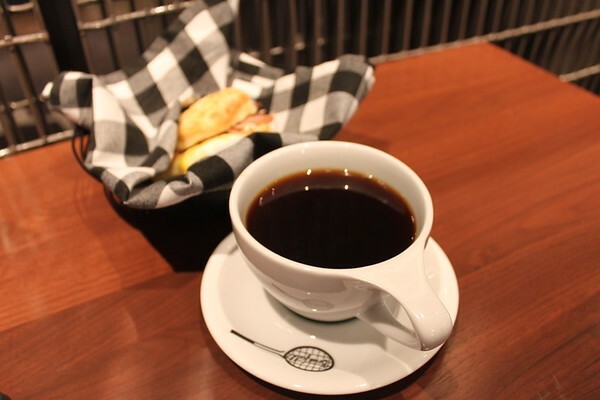 Brookfield is the lobby coffee shop, bar, and eatery where you can grab an espresso and a breakfast biscuit in the mornings or a glass of wine at night. Byrd House is scheduled to open soon and is the rooftop bar. 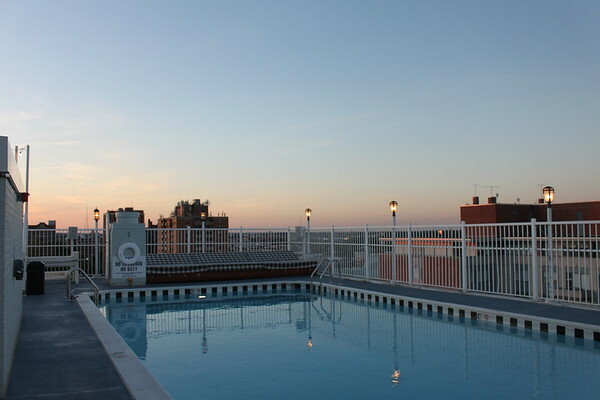 On the 16th floor, you’ll also find the pool and the best views around. Graduate Richmond is located at 301 West Franklin Street, Richmond, Virginia 23220. Rooms start at $139 per night. Parking is valet only and costs $22 per night. Book your stay by visiting their website or calling (413) 821-3323. 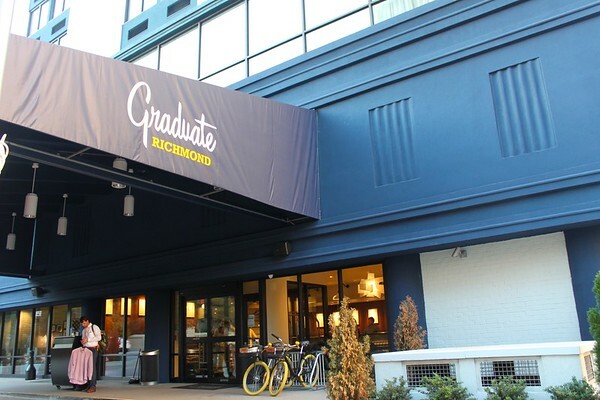 My stay at the Graduate Richmond was made possible by the hotel and Visit Virginia.